Plymouth's GYM News stories for Kickboxing, Muay Thai, Boxing, MMA - James Thompson becomes the 'New' TFC Southern Area Pro K1 Champion ! James Thompson delivered a near perfect performance to win the title against the incredibly tough Matt 'George' Harthill at the H46 event. 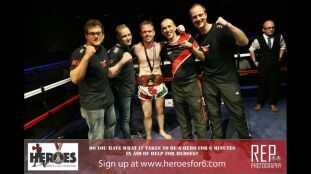 New English MMA Champion...Aaeiron Orme !